The good ol’ World Wide Web has made it pretty easy for people to access information on just about any topic with a few keywords in a search bar. However, this also makes it pretty easy for people to access incorrect information, too. As a result, many myths have spread about various home services and appliances, with your Pittsburgh, PA air conditioning system being no exception. 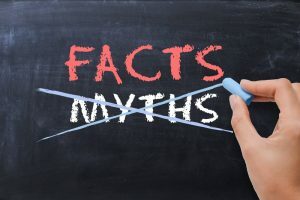 Using that same power of the internet, we’d like to dispel some of these myths, particularly one about refrigerant loss. Keep reading to learn about this and other AC misunderstandings you may have never realized you had. Refrigerant is something that is supplied with your air conditioner upon installation. In fact, at this time it’s given enough refrigerant to last its entire lifespan, and is constantly recycled throughout that time. Many homeowners, however, believe it when unscrupulous “service professionals” tell them it needs to be topped off every maintenance session, and therefore charge you for this service. The fact of the matter is that if you’re losing refrigerant, you have a leak. That leak must be located and repaired to restore full functionality to your air conditioner. Without the right amount of refrigerant (called a refrigerant charge), your air conditioner struggles to do its job, and suffers as a result. It can lead to costly repairs and potentially even a premature system replacement. If you suspect you have a refrigerant leak, you could do a lot more harm than good in waiting for your next maintenance session to have it taken care of. Speaking of maintenance, this is something that should be performed once a year—twice a year for heat pumps. Maintenance, also referred to as a tune-up, allows our technicians to thoroughly inspect your air conditioner, cleaning and adjusting components as needed. Too many homeowners believe the misconception that maintenance is a “luxury” service and not one that they actually need on a routine basis. But maintenance is going to benefit you in so many ways. It helps fend off the worst of repair needs, it keeps your system clean and efficient, and it even helps improve the lifespan of your air conditioner. Have you ever closed off vents in unoccupied rooms, or rooms where occupants have different cooling preferences than you, in hopes of saving energy? We understand why this misconception exists… after all, if you close off the vents to the rooms that don’t need air, and then you’ll use less of that air, right? Not quite. Your air conditioner is still outputting the same amount of conditioned air. However, it’s going to struggle in the rooms where you’ve closed the vents since it reduces airflow. Your air conditioner will try to reach the desired temperature of your home, and be unable to. This actually wastes energy and potentially damages your air conditioner. The solution here is to either invest in zoned cooling—which utilizes dampers to appropriately redirect airflow—upon your AC installation, or a ductless system which uses multiple individual air handlers throughout the home that can be controlled individually of each other. Either of these options will be much more energy efficient and cost effective than simply closing vents and hoping for the same effect.